I recently was sent a copy of Reach Out by Human Nature. I'm a big R&B lover, and Human Nature has reprised many old Motown songs on Reach Out, so I knew I would enjoy this CD! 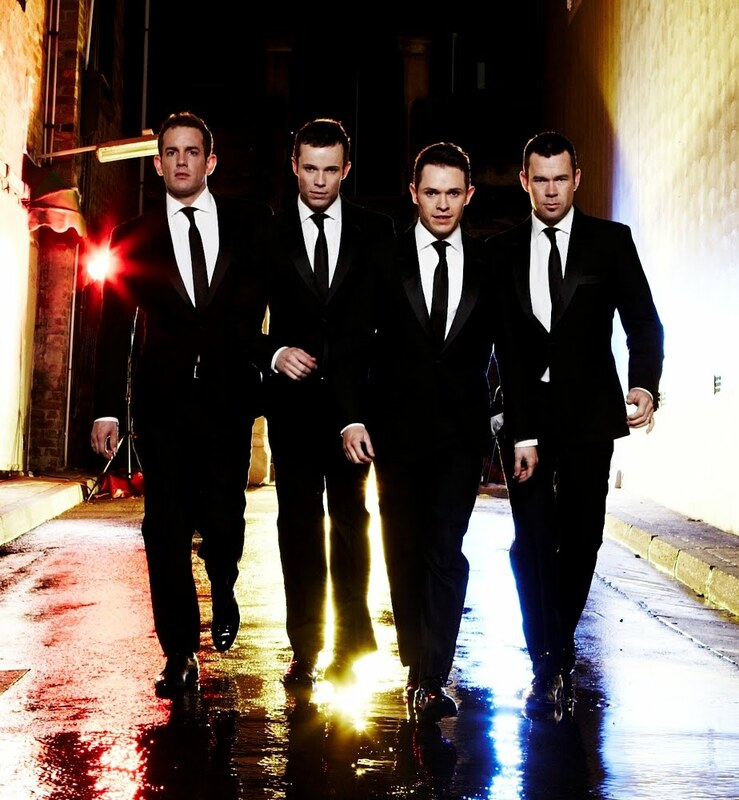 Australia’s most popular & successful vocal group, Human Nature release their first album – Reach Out in the U.S. on September 1st. Reach Out is being released exclusively via Barnes & Noble physically and will be available widely digitally. The album will be released to all retailers physically on March 2, 2010. Since they signed with Sony in 1994, Human Nature have earned 23 Platinum Awards in their native Australia and have toured throughout the world. Their largest audience was at the Sydney Olympic Games in 2000 where they performed before 4 billion viewers worldwide. The band has had 17 Top 40 Hits and Five Top Ten Hits since 1996, has opened tours of Asia and Europe for both Michael Jackson and Celine Dion , and have won several Arias (Australia’s version of the Grammy’s) and virtually every other major entertainment award that country has to offer. Their last four releases in Australia have reached #1 on the charts there! Now Human Nature has set their sites on America. Human Nature are launching their assault via a headlining run at The Imperial Palace Hotel & Casino in Las Vegas, in a show presented by their mentor & friend Smokey Robinson. The show, billed as “The Ultimate Celebration of the Motown Sound” is running now through May, 2010. During their run, the boys will also be performing select dates in key US markets around national media and promotional activities. Reach Out is a collection of songs from their last three studio themed recordings in tribute to some of the best songwriters and performers in Motor City - it is a tribute to the renown recording studio and record company that brought the sound of young America to the world. In Reach Out, Human Nature - Toby Allen, Phil Burton, Andrew Tierney,and Michael Tierney -pay loving tribute to the sounds that influenced their global success, and bring an infectious energy and their amazing vocal talents to the proceedings. Connect with Human Nature on Facebook. One of you will win a SIGNED copy of this great CD! To enter, tell me what song of the songs listed above in the track listing is your favorite and if it brings back any special memories for you! For me, these songs remind me of lazy, summer days spent with my grandparents! For extra entries, view my Giveaway Rules, updated 2/2/10. This giveaway will end on 4/10/10 at noon EST. Giveaway is open to US Residents only. Thanks for entering, and good luck! Disclaimer: I was sent the product named above to review. The opinions expressed above are solely my own and yours may differ. Receiving a product will NEVER influence what I write in any review. I heard it through the grapevine reminds me of my mom and some of her friends dressing up as grapes and performing this song and dance number at a church talent show - similar to the claymation commercial about raisins from 15 -20 years ago - HILARIOUS! I love Reach Out I’ll be There. It reminds me of car trips with my parents. I entered the yogurt giveaway. I love all these songs!! My Girl is one of my favorites!! Are you Team Over or Team Under? Win $500 in CVS cards and more! Win big with Banquet "Thanks a Million!"